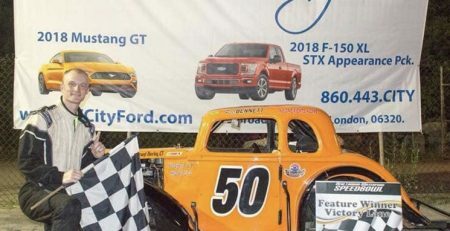 WATERFORD — Running in third place doesn’t always get you the mid-race publicity that the first and second place drivers are getting, but sometimes it can be the best place to be on the track. Especially when the drivers running in first and second squeeze each other toward the wall. 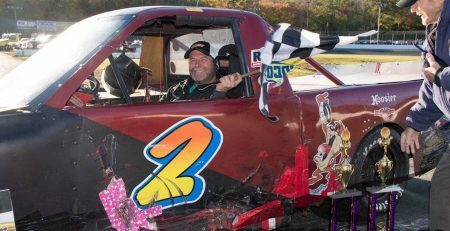 T.J. Racicot was in the right place at the right time when he took the lead with four laps to go on his way to his first-ever Speedbowl win, highlighting Wednesday’s Wild & Wacky competition at the New London-Waterford Speedbowl. 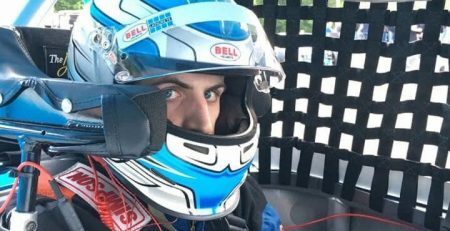 “To make a comeback for my first Speedbowl win — that’s awesome,” Racicot said. 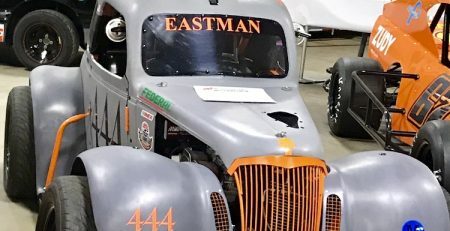 In other action, John O’Sullivan held off Peter Bennett to gt the 25-lap Legends win, Ed Ryan Jr. made a late rush to win his second Super X-Car race of the year and Brody Monahan and P.J. Evans each won 15-lap Bandolero races. 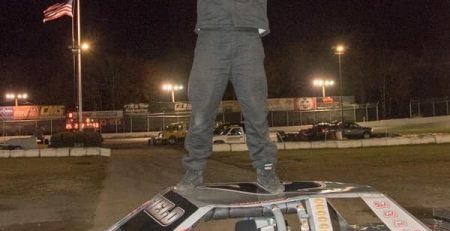 The night’s most emotional win was captured by Racicot, who was running third late in the race when the two drivers who were running in front of him, Steve Olsen and Will Rheaume, tangled up while duking it out for the lead. Racicot was able to scamper by the carnage on the inside, giving him the lead for the first time in the race on lap 21. His work, however, was far from over. He had to hold off the firepower of point leader Eddie Loomis over the final four laps. Loomis sent it in hard coming off turn four on the final lap but almost hit the wall, giving Racicot the advantage across the line. 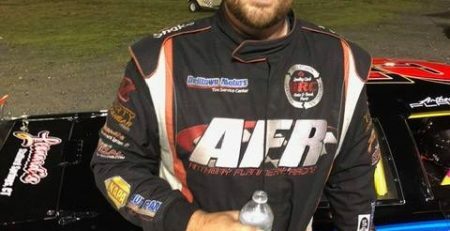 In the Super-X car feature, Ryan started 12th, but steadily bobbed and weaved his was through the field. He caught up with race-leader Bud Kuehne late in the race and was able to freight train by him with four laps remaining. Kuehne was disqualified after the post race inspection, moving Marc Shafer to second and point-leader Dave Yardley to third. John O’Sullivan blurred into the Legends lead on lap 5, overtaking Mason Levesque. and held off a late charge by Bennett to nail down his fourth win of the year. Fourteen-year veteran Dennis Pantani grabbed his first win of the night, taking down third. Brody Monahan started on the pole and lead every step of the way to win the first of two 15-lap Bandolero races. Emma Monahan was second and Maddie Harkin third. 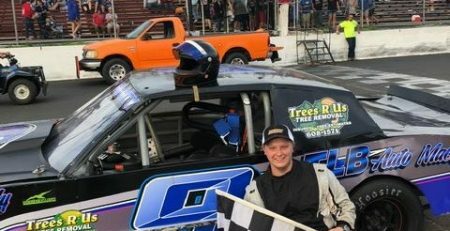 In the second Bandolero feature, Evans wiggled to the outside on a late-race restart and blistered his way to the outside of Ari Jencik to squeeze out his first-ever Speedbowl win. Emma Monahan was back in second and Jencik held on for third. Racing will resume on Aug. 8 when the Bandoleros, Legends, X-Cars and Super X-Cars are joined by the Vintage Midget Racers. 15-lap Bandoleros No. 1: 1. Brody Monahan, Waterford; 2. Emma Monahan, Waterford; 3. Maddie Harkin, Portsmouth R.I.; 4. Ethan Simmons, Pawcatuck; 5. PJ Evans, Uncasville; 6. Nickolas Hovey, Chaplin; 7. Ari Jencik, Canton; 8. Tyler Alkas, Berlin; 9. Conor Jencik, Canton; 10. Sawyer Reiss, Guilford. 15-lap Bandoleros No. 2: 1. P.J. Evans, Uncasville; 2. Emma Monahan, Waterford; 3. Ari Jencik, Canton; 4. Tyler Alkas, Kensington; 5. Maddie Harkin, Portsmouth R.I.; 6. Conor Jencik, Canton; 7. Ethan Simmons, Pawcatuck; 8. Brody Monahan, Waterford; 9. Anthony Bevilacqua, Newington; 10. Madelyn Hovey, Chaplin. 25-lap Legends feature: 1, John O’Sullivan, Salem; 2. Peter Bennett, Cromwell; 3. Dennis Pantani, Branford; 4. Brandon Remson, Norwalk; 5, Colin Haley, Ashford; 6. Scott Limkemann, Lebanon.7. Mason Levesque, Dighton, Mass. ; 8. Tyler Barry. Griswold; 9. Brian Zimowski, Enfield; 10. `0. David Lespinasse, Madison. 25-lap Super X- Cars: 1.Ed Ryan Jr., Preston; 2. March Shafer, Groton; 3. Dave Yardley, Kensington; 4. Peter Martin, Plainville; 5. Mitch Bombard, Willimantic; 6. DennyLee Hoffman, Westbrook; 7. Jay Clement, Wethersfield; 8, 8. Keith Brown, Griswold; 9. Jeremy Washington, N/A; 10. Ray Phillips, Canterbury. 25-lap X-Cars: 1. TJ Racicot, Quaker Hill; 2; Eddie Loomis, Plainfield; 3. Bill Rheaume, Uncasville; 4. Christopher Lee, Oakdale; 5. Dylan DeCoster, Waterford; 6. Eric Finkbein Sr. Columbia; 7. Matthew Menders, Niantic; 8. 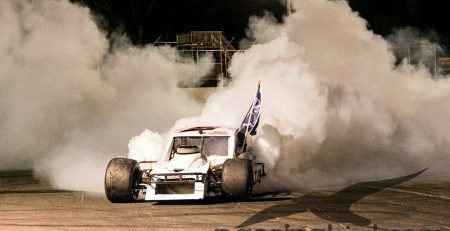 Matt Westover, Charleston RI; 9. Bruce Sperry, Waterford; 10. Raymond Herman Sr., Groton.